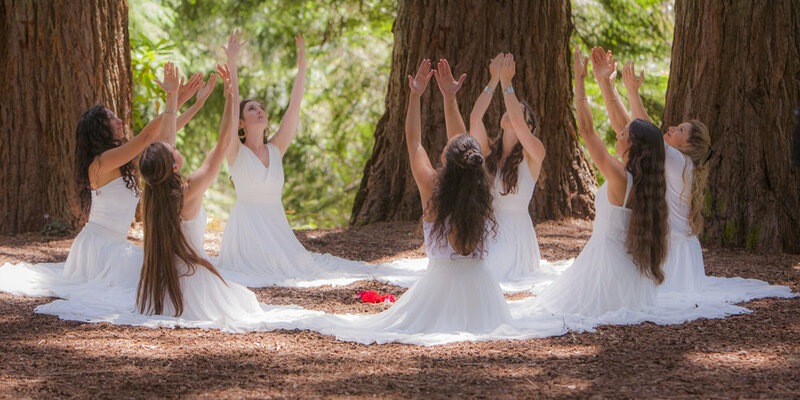 Dance Art Sanctuary is a fully integrated embodied experience that intricately weaves group ritual with intensive dance training and heart centric spiritual teachings. It is a continuously evolving format that focuses on embodying prayers and intentions through movement to encounter dance as a healing art. Each session offers a theme based on a soul trait that inspires an improvisational element as well as a choreographic sequence. The soul traits explored include: Humility, Compassion, Patience, Discipline, Gratitude, Generosity, and Equanimity. Movements are rooted in ethno-contemporary dance, sacred dance traditions from around the world and integrate elements of martial arts, core strengthening, and body alignment practices. Nature provides an endless source of creative inspiration. 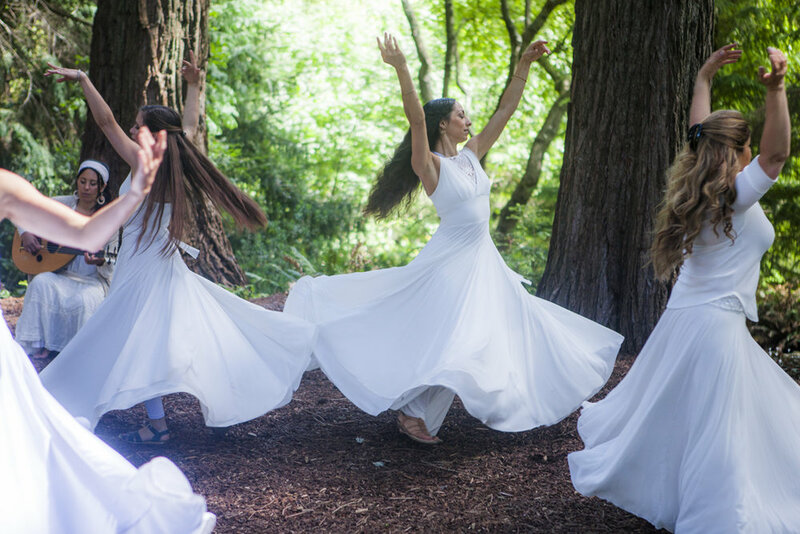 The Dance Art Sanctuary holds a monthly class in the redwood forest or other natural setting to dance with live accompaniment and the sounds of the wind, birds, trees and waters. For current classes check out the weekly classes page!